Midlist Writer: July Sale: Two Ebooks for 99 Cents Each! July Sale: Two Ebooks for 99 Cents Each! You folks deserve some cheap summer reading, so until the end of July, I'm slashing the price of two of my novels to only 99 cents each. Radio Hope and Trench Raiders have both been around since 2014 and they've sold steadily, but in the past year they've been eclipsed by some of my more recent efforts. So this is a chance to rediscover some of my earlier writing. While both are the start of series, they can be read as standalones. 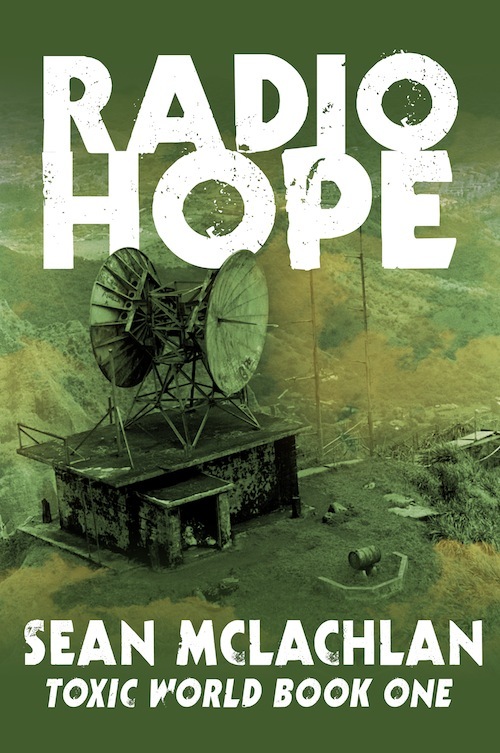 Radio Hope is the first of the Toxic World series, which has three books and a spin-off novella. Book Four is coming out in the autumn. A blurb is below. In a world shattered by war, pollution and disease. . .
A gunslinging mother longs to find a safe refuge for her son. A frustrated revolutionary delivers water to villagers living on a toxic waste dump. The assistant mayor of humanity's last city hopes he will never have to take command. One thing gives them the promise of a better future--Radio Hope, a mysterious station that broadcasts vital information about surviving in a blighted world. But when a mad prophet and his army of fanatics march out of the wildlands on a crusade to purify the land with blood and fire, all three will find their lives intertwining, and changing forever. Radio Hope is available on Amazon, Amazon UK, and all the other Amazons. Enjoy and please spread the word! September 1914: The British Expeditionary Force has the Germans on the run, or so they think. After a month of bitter fighting, the British are battered, exhausted, and down to half their strength, yet they’ve helped save Paris and are pushing toward Berlin. Then the retreating Germans decide to make a stand. Holding a steep slope beside the River Aisne, the entrenched Germans mow down the advancing British with machine gun fire. Soon the British dig in too, and it looks like the war might grind down into deadly stalemate. Searching through No-Man’s Land in the darkness, Private Timothy Crawford of the Oxfordshire and Buckinghamshire Light Infantry finds a chink in the German armor. But can this lowly private, who spends as much time in the battalion guardhouse as he does on the parade ground, convince his commanding officer to risk everything for a chance to break through? 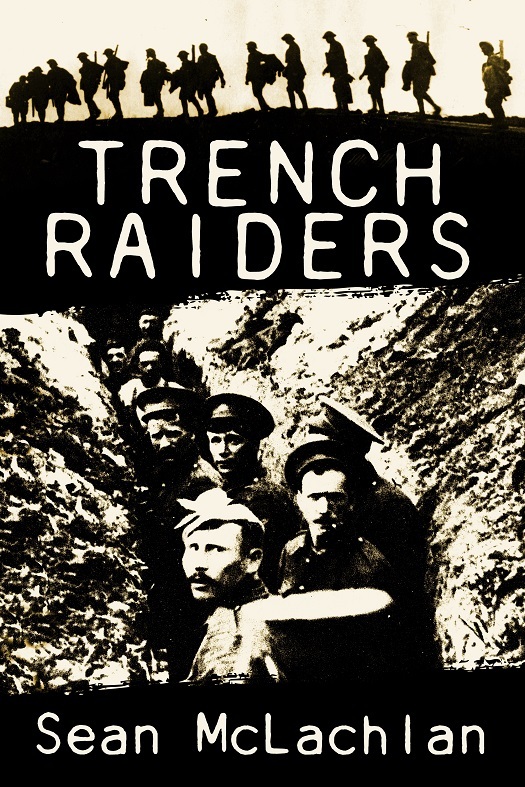 Trench Raiders is the first in a new series of World War One action novels that will follow the brave men of the British Expeditionary Force through the major battles of the First World War a hundred years after they happened. The Battle of the Aisne was the start of trench warfare on the Western Front, and it was there that the British and Germans first honed their skills at a new, vicious brand of fighting. 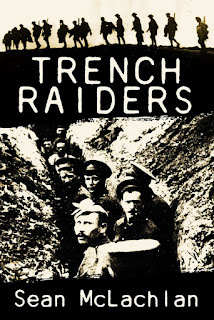 Trench Raiders is available at Amazon, Smashwords, and within a few days will be available at all other online outlets. I have both already - just need to make time to read them!